As a relatively new explorer of inspirational resources and education surrounding the health and fitness industry, I traveled from Los Angeles to San Jose, California to educate and entertain myself by attending the San Jose FitExpo. The FitExpo is a trade show that showcases all of the latest and greatest trends and technologies within the health and fitness industry. The FitExpo is a great way to meet the people in the industry, sample the latest health and fitness products, and immerse yourself in a culture that is ever-evolving. In an age of health debilitating diseases brought on by unhealthy eating habits and sedentary lifestyles, events such as health and fitness exhibitions are amplifying in popularity. Interests in promoting well-being and the need for information to encourage healthy lifestyles are growing rapidly. 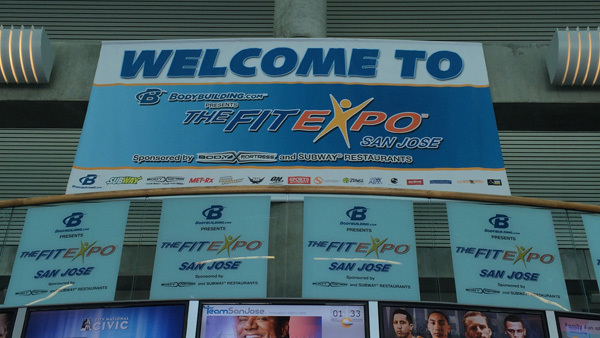 The San Jose FitExpo was my first health and fitness trade show that I’ve attended, and it was an amazing experience. Stepping into and roaming the venue felt like I was in another world. It was a world that is the center of my universe, my pride and joy, and my inspiration. I enjoyed my time there so much, that I’m already eager to check out the Los Angeles FitExpo next year, which I hear drives an even bigger turnout. 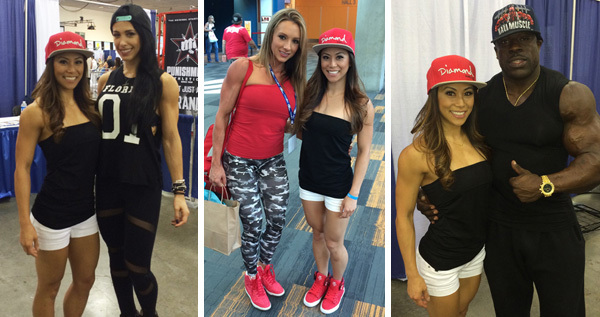 Below are the highlights of what I experienced at the San Jose FitExpo 2014. In the 2-day weekend event, below are exhibits that were available for ticket holders. 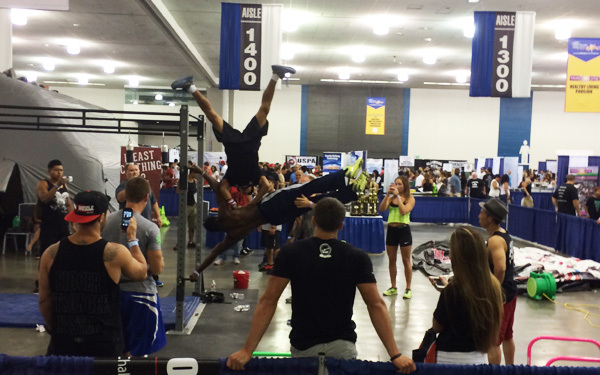 The highlight of my experience at the San Jose FitExpo was the Battle of the Bars competition, which I anticipated most. As I have been working on improving calisthenics, the Battle of the Bars (which involves many gymnastics, body weight type movements executed with limited exercise equipment), was of particular interest to me. Competitors showcased tremendous feats of physical strength and impressive body awareness skills. There were people of various shapes and sizes flying through the air, hitting the human flag pose, doing 360s, and performing endless variations of front levers, back levers, handstands, muscle-ups, and more ninja-like movements. One of the most awe-inspiring demonstrations I witnessed was an individual performing a muscle-up to a handstand push-up on another person’s oblique while holding a human flag. If there were modern-day ninjas, these folks would be the real deal. I walked away wanting desperately to improve my calisthenics game.. and become a ninja. Some notable competitors to follow on Instagram, and who I met personally, are @muscle_up_jarvis, @just_made_you_look, and @prove_it. I had photo opportunities with my physique idol, Bella Falconi, inspirational fitness model, Paige Hathaway, and my friend, Kali Muscle. 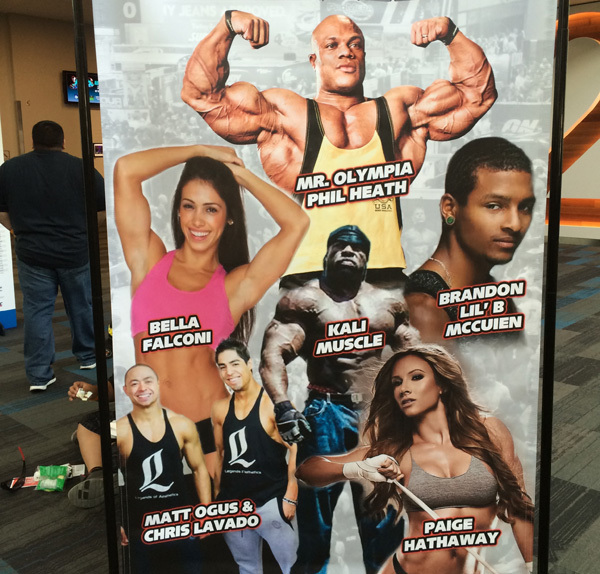 I was also delighted to sit in on Phil Heath and Bella Falconi’s seminars. 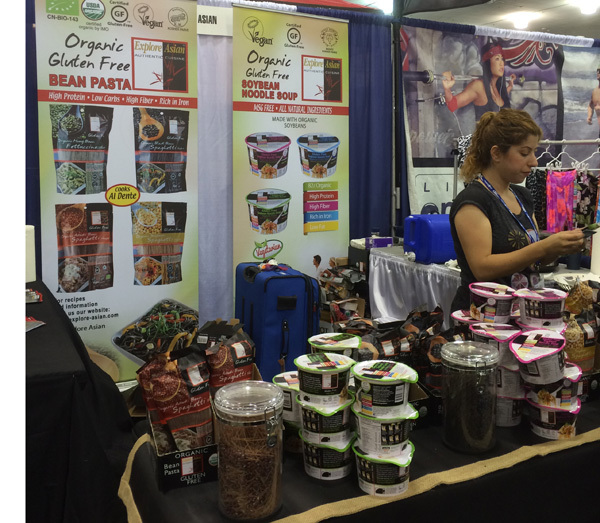 There were roughly 200 vendors that were at the venue promoting their services and products. Every vendor had multiple representatives working the booths. There were numerous demonstrations, workshops, and well-known figures in the health and fitness community. Combine that with the thousands of ticket holders and that nets out to thousands of people you can potentially network with. If you meet far less than that, but manage to score a few potential partnerships with a handful of industry people, I consider that a win. It’s all about meeting the right people – quality over quantity. 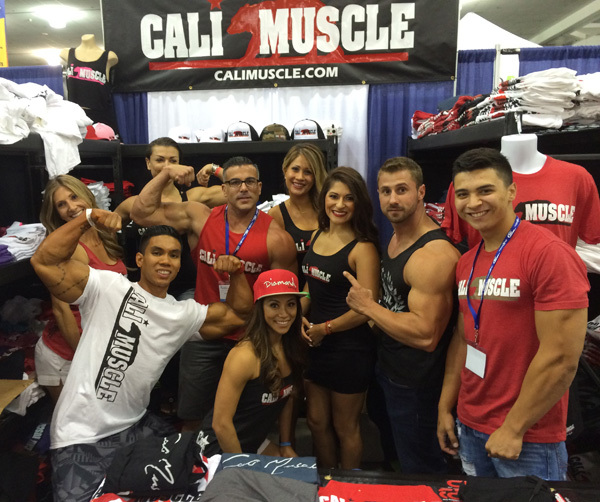 In my experience at the San Jose FitExpo, I met a few calisthenics pros, who I’ve already reached out to regarding exercise tips, some vendors who sold amazing products from whom I purchased products from, and also met a marketing director who I’ve been in contact with for a potential photo shoot. In my professional life, I’ve learned that you have to put yourself out there to meet the people who matter. Networking can be immensely powerful in business and in your personal life. You never know when a casual interaction could blossom into a mutually beneficial relationship. Walking through a crowded venue and bumping elbows with athletes, meat heads, and health-conscious individuals is not something one would experience on any given day. Observing the waves of men, women, and children from all walks of life, genuinely interested in growing their knowledge about health, helped to restore and reassure my hope in the improvement of societal health. The one thing I’d like to see more of in the next decade is a rapid increase in positivity, mindfulness, and healthy functional living in all of mankind. 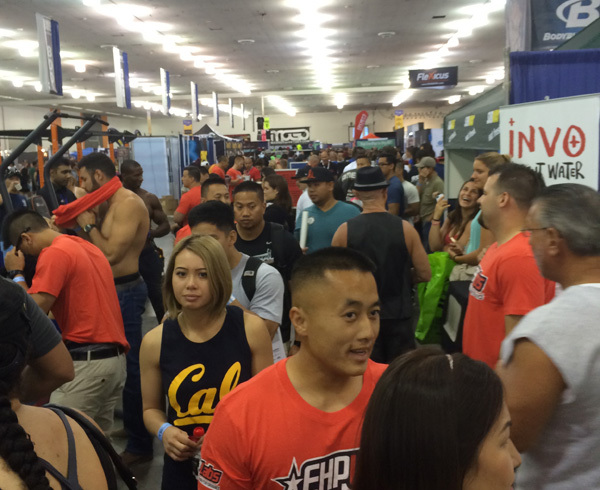 The developing interest and attendance at the FitExpo is a testament of that time to come.. soon. What was really motivating for me were my encounters with a few random people approaching me for photos, someone who recognized me from social media, strangers communicating positive commentary on my physique, and Paige Hathaway acknowledging my level of fitness. While this may seem vain to many, it is incredibly inspiring knowing that I am somehow making the tiniest dent in the lives of others’ and imaginably seen as one who leads by example. These seemingly insignificant moments motivate me to keep doing what I’m doing. I want to do so much more – this is only the beginning! No FitExpo experience is complete without an endless supply of samples you can try from the hundreds of vendors participating at the event. Shortly after entering, I was quickly approached by company after company who attempted to market their product or service. It was a bit overwhelming, but in an awesome, over-stimulating way. Met-Rx booth. Protein bars galore! Within an hour of booth hopping, I had sampled enough protein powders, power bars, pre-workout and post-workout concoctions to get me feeling rather caffeinated and amped. I was basically Tyron Biggums. To alleviate my restlessness and need for a pump, I jumped in on a pull-up contest and knocked out 15 quickies. I walked away with a free t-shirt and was even more fired up! Some of the more notable vendors who participated are listed below, along with a few others that caught my eye. Companies at the FitExpo that caught my eye are listed below. This is probably one of the freshest tasting coconut waters I’ve had. I usually drink C2O for the same reason. Both of these brands don’t add any artificial flavoring and don’t include added sugars. 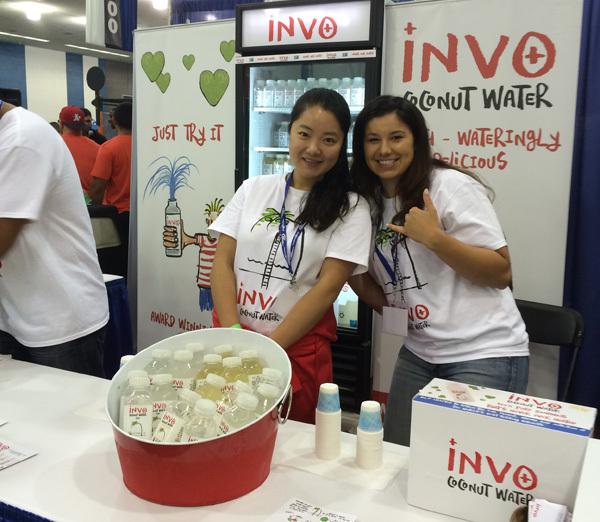 Invo doesn’t pasteurize their coconut water with heat, but with pressure. Invo also practices sustainable farming, which I am an advocate for. I sampled a Thai Lime flavor that was tart and amazing! I will definitely be buying their products soon. 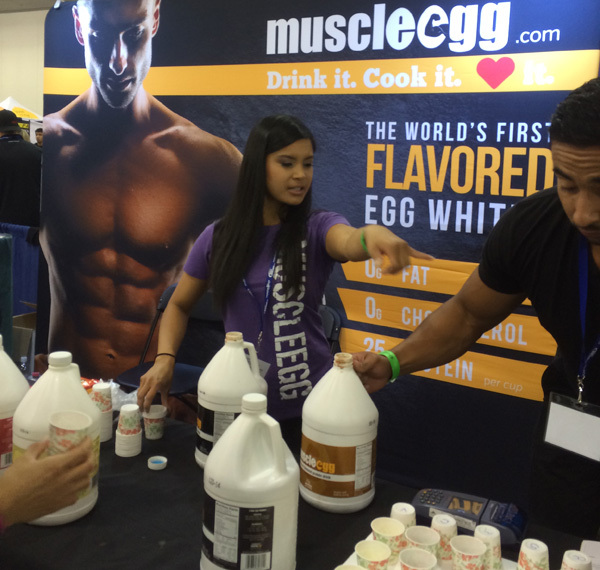 MuscleEgg packages liquid egg whites into 2-gallon jugs. I typically buy multiple 32oz containers of AllWhites Liquid Egg Whites , so it’ll be nice to buy less frequently. The flavors they sell are Original, Organic, Chocolate, Chocolate Caramel, Mint Brownie, Vanilla, and Strawberry. I’d likely go for Original for eating and possibly Mint Brownie as a protein supplement; it tasted so delicious! Explore Asian handed out some of the more unique, edible products at the FitExpo. They sell organic and gluten-free and soups, noodles, and pastas. This one caught my eye because I love that they took the traditional form of pasta (wheat, rice, egg noodles) and completely transformed the macro and micro-nutrient profile, taste, and texture by getting creative with ingredients. The samples were so delicious, I ended up buying Mung Bean Fettuccine , Soybean Spaghetti , Black Bean Spaghetti , and Adzuki Bean Spaghetti . I’m pretty excited about cooking up some low-carb, high-protein, and high-fiber recipes, which will certainly be featured in future posts! Another company worth mentioning is Hotshotz. They sell portable and reusable gel heat packs in various shapes and sizes. I played around with the instant reusable hand warmers and thought the technology was neat. To activate it, all you do is press a little button on the pack and wait a few seconds for it to heat up. The heat packs get pretty warm and can help to relax the muscles on-the-go and in the cold. The only downside is that they only last about an hour or so, and in order to reuse it, you have to boil it. The Sweet Sweat booth caught my eye by showcasing a half-naked athletes jump roping. There was a thermal camera pointed at the athlete in action, showing one half of the body producing significantly more heat than the other. The product they advertise is a gel or cream that you apply to the skin to enhance circulation and accelerate the sweating process. I’m not sure whether this is effective for burning more calories as they claim it does, but it’s interesting nonetheless, and I’m curious about its effectiveness. I was a bit surprised when I saw the reviews for the Sweet Sweat Jar . 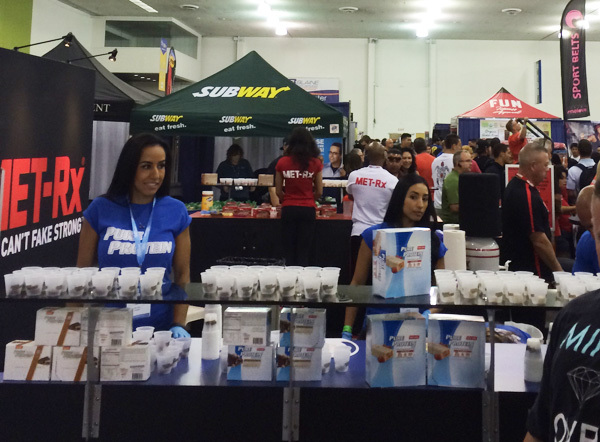 In summary, the FitExpo is a great place to immerse yourself in the world of health and fitness. There are numerous demos, workshops, and seminars that can either motivate, educate, or generate interest in previously unknown products, services, big industry names, and exercise modalities. The networking opportunities are vast, and free samples are a great way to test new products before committing to buying anything in standard, retail quantities. If you’re an athlete, have an interest in learning more about health and fitness, or just curious about the developing culture, then the FitExpo should be on your list of events to attend.